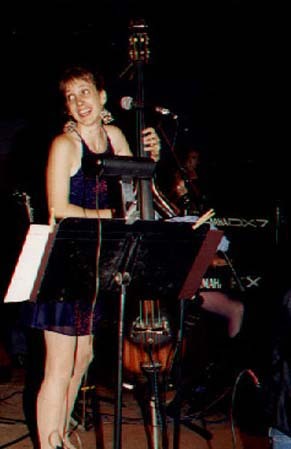 Janet has over 12 years experience playing bass in musical groups in Atlanta and Albuquerque. She was a founding member of Amigas and the Meter Maids, both all-women dance bands, and was musical director of the Meter Maids. Janet has also performed with the cajun-zydeco band Bayou Seco (rubboard), the Latin American folk group Cuicani (Andean flutes, bass), and the Salsa Maria Orchestra (bass). More recently, Janet has directed and performed in A Slice of Life, a theatrical band.